When Steins;Gate 0 was first announced, I have to admit that I was a little hesitant. 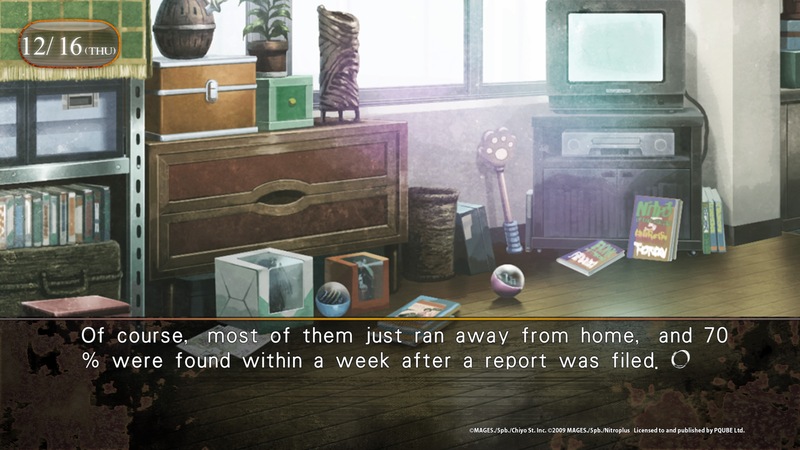 After all, the first Steins;Gate is undoubtedly one of the best visual novels to get an English localization. Not only that, but it did a great job of wrapping up its story in a fairly neat way. I wasn't sure if a sequel would even work. Will the sequel be able to do its predecessor justice, or will it come across as if it's wholly unnecessary? Upon firing up a copy of Steins;Gate 0 on my PlayStation 4, I knew I had my answer. One thing I have to mention is that it is simply impossible to even discuss the setting of Steins;Gate 0 without bringing up several plot twists and revelations from the original game. As such, the rest of this review will work under the assumption that you've played the original visual novel, or at the very least watched its rather excellent anime adaptation. Consider this to be a spoiler warning. 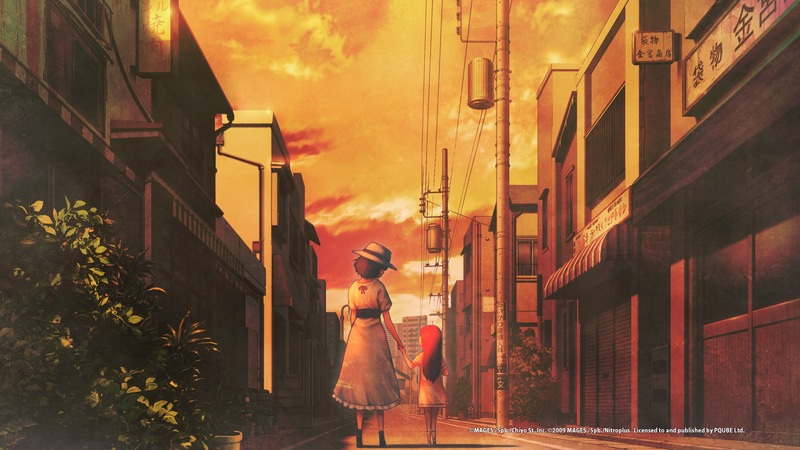 Due to the use of time travel and the concept of multiple world lines as central plot mechanics, the story of Steins;Gate 0 is able to take place both prior to the true ending of its predecessor as well as six months after the events of the original game. 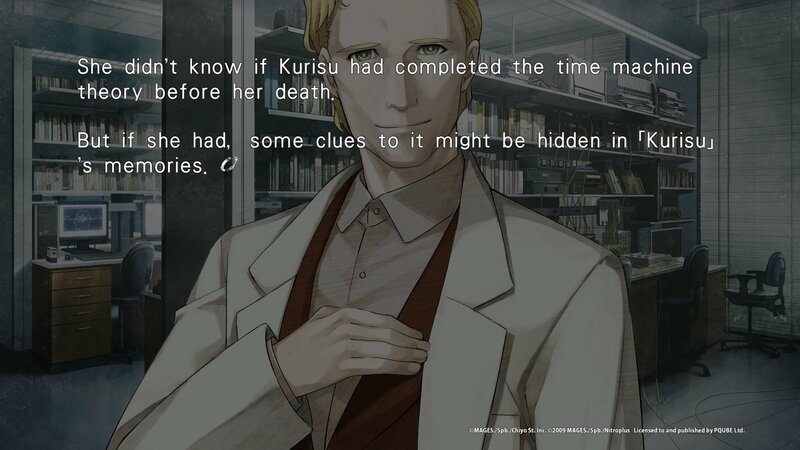 Left traumatised by the death of Kurisu Makise, unintentionally killed by his own hands, Rintaro Okabe hangs up his lab coat, having given up entirely on time travel. Instead, he's choosing to pass as just an average college student. This is the Rintaro Okabe of the Beta World Line; a Rintaro Okabe who is left broken and miserable. 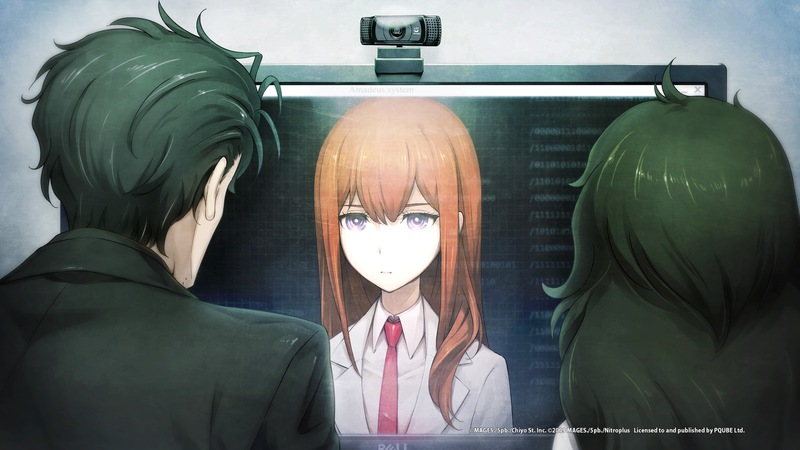 Rintaro's façade of normality ends when he is dragged into a series of conspiracies involving time travel, the research of Kurisu Makise, and artificial intelligence after he meets a scientist by the name of Maho Hiyajo. 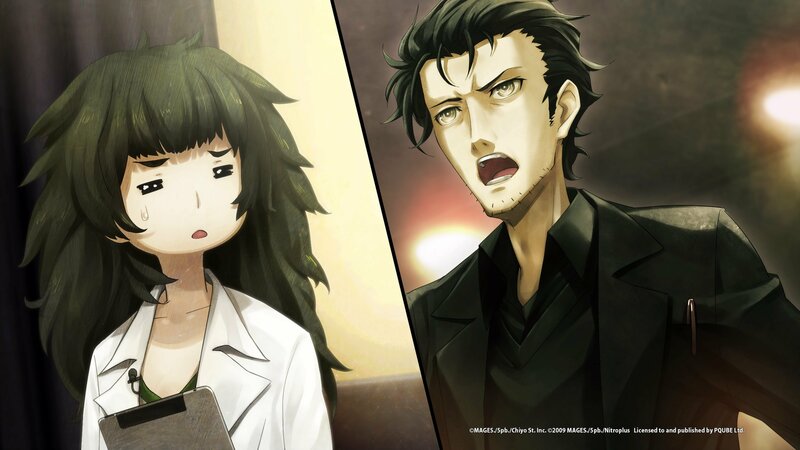 Despite her outward appearances, Maho is a senior researcher who worked alongside Kurisu in order to develop an A.I. known as Amadeus, which operates by forming a personality based on a snapshot of an individual's mind. Either fortunately or unfortunately for Rintaro, the person who Amadeus is based off of is none other than Kurisu herself. 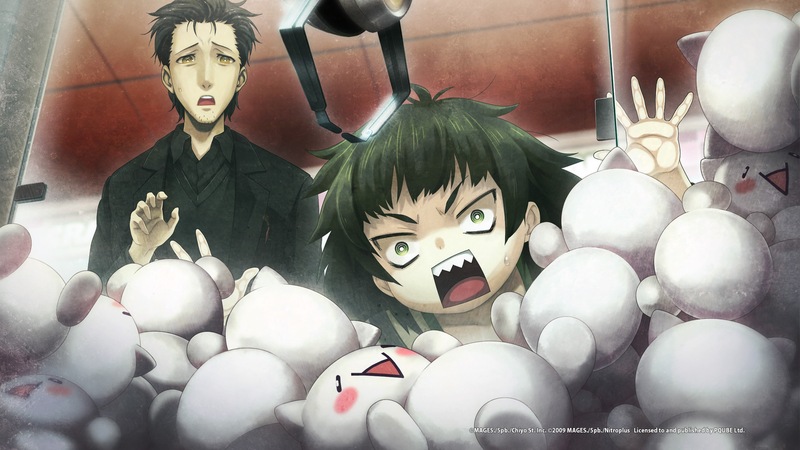 Many characters from the original Steins;Gate make a return, although their actions and personalities may have changed somewhat between the events of the first game and its sequel. The most obvious changes lie with Rintaro himself, who no longer refers to himself as the mad scientist Kyoma Hououin. He's given up on time travel, going so far as to destroy the PhoneWave (name subject to change), which in the previous game allowed him to send D-Mails (short for DeLorean Mail) back in time. 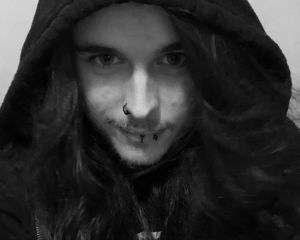 In essence, he's resigned himself to a future where World War III is inevitable, and where he'll die in 14 years' time. Other characters have also changed in significant ways. Suzuha's relationship with Rintaro has become strained at best. After all, she travelled back from the year 2036 in order to help Rintaro reach what is referred to as "Steins Gate," a world line where World War III is averted, and where SERN won't use its time machine to create a dystopia. She's frustrated, having seen him simply give up. 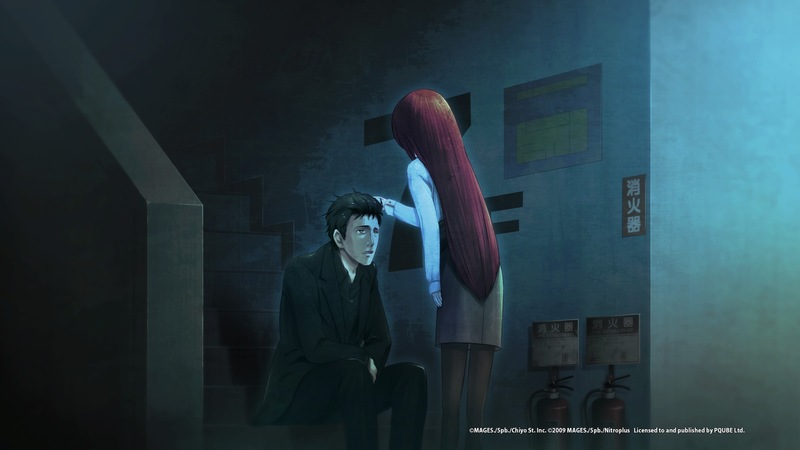 Newer additions to Steins;Gate 0's roster includes the future adopted daughter of Mayuri Shiina -- Rintaro's childhood friend -- who travelled back in time from the year 2036 with Suzuha, but went missing in 1998. There's also the professor who mentored both Maho and Kurisu, as well as Yuki Amane, the future partner of Daru and mother to Suzuha. For the most part, these new characters all feel welcome and with fully fleshed-out personalities and traits. Sadly, that can't be said for every new addition, and there are a couple of characters who don't really amount to much in the long-run, or simply exist for plot conveniences. Throughout every chapter, the game will shift perspectives to that of other characters, allowing the player to read their internal monologues and gain a level of understanding as to how they think or feel throughout story. This really does help make the characters of Steins;Gate 0 feel a lot more believable and alive. Despite the darker tone of this story, there are many moments of lightheartedness scattered throughout each of the game's 14 chapters. From Daru's inappropriate reactions to whatever situation he's thrown in to a sequence where Rintaro and Maho are at an arcade together, I found that Steins;Gate 0 caused me to laugh just as much as it made me want to cry. Even during the darkest chapter, with its worst possible ending, there are still much-needed moments of respite. The story of Steins;Gate 0 can be broken down into two separate paths that split from each other at the first major decision, which occurs near the end of chapter one. 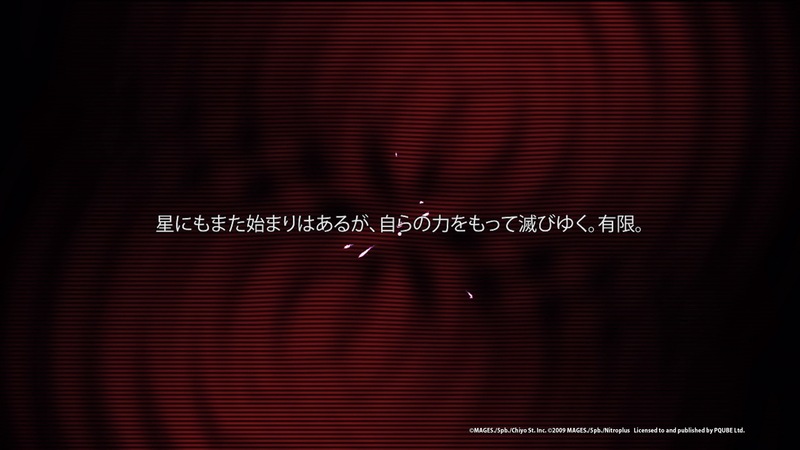 From there, three additional endings can be accessed based on the player’s choices. In order to access the game’s true ending, you’ll need to complete one of these main paths before starting the other, although you can always go back and beat them in the correct order afterward. Essentially, there are five to six endings in total, depending on the order in which you complete each of the game’s story routes. Much like in the first game, player decisions are made through interactions with Rintaro's phone. 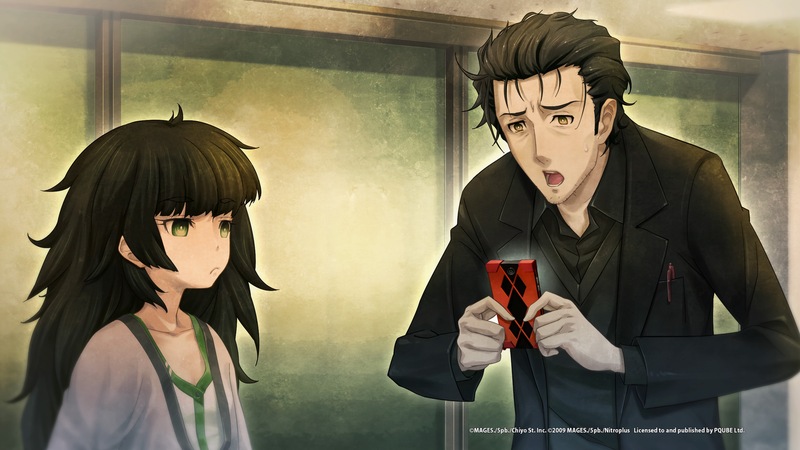 In the six months that occur between the original Steins;Gate and its sequel, Rintaro has managed to upgrade to a smartphone, which will allow him to contact Amadeus, interact with supporting characters with the RINE app, as well as handle traditional phone calls. Most of the game's important decisions relate entirely to either phone calls or Amadeus, so you can feel free to answer RINE messages with whatever you please. One thing that I wasn't particularly fond of is that without a guide, there's an element of trial and error involved in attaining each ending of Steins;Gate 0. It can occasionally be difficult to gauge what the effects of some particular choices will be, meaning that I occasionally found myself essentially wandering through the story blind. Thankfully, the game does a good job of indicating what particular phone interactions will trigger a divergence in the story. If you save diligently at these points, going back to make a different decision so you can follow another plot arc is a relatively painless affair. Interestingly enough, SERN -- an organisation that played a central antagonistic role in Steins;Gate -- doesn't actually have as much of a presence in Steins;Gate 0. While it is still clearly working in the background and is often depicted as a great threat, Steins;Gate 0 puts much of its focus on the aforementioned arms race by various organisations to develop a time machine. Another thing that makes a return from the original game is the inclusion of the rather helpful Tips menu. Steins;Gate 0 is a science-fiction visual novel with a heavy dose of science, and as such, it contains a lot of jargon that players need to wrap their heads around. 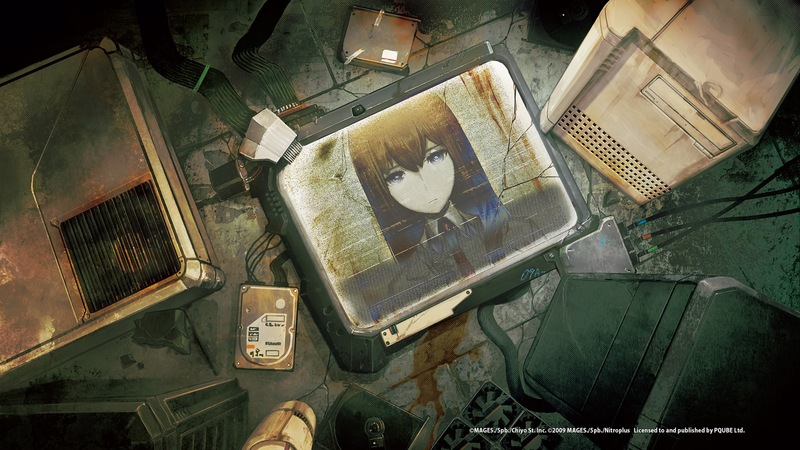 Likewise, players unfamiliar with retro PCs, otaku culture, and even some terminology from the previous Steins;Gate could very easily find themselves lost. The Tips menu serves as a way to provide some expository text that should help keep players on the same level. It's not perfect, mind you, and there were still several instances where I felt the need to trawl through Wikipedia in order to get my head around some of the game's dialogue. Additional entries in the Tips menu can be unlocked either by progressing through each story route, as well as through RINE conversations with Rintaro's friends. Unlocking every word or phrase in the Tips menu will reward players with a Gold Trophy, so completionists will definitely want to keep an eye out. As far as presentation is concerned, Steins;Gate 0 is gorgeous. Huke's unorthodox art direction makes a comeback, with results that can be utterly impressive from a visual standpoint. Likewise, the original voice cast from Steins;Gate reprise their roles in 0, bringing with them the same level of talent on show in the first game. Unfortunately, I did encounter a couple of weird issues with Steins;Gate 0. First off, there are a couple of obvious typos and spacing issues, including new lines being started with apostrophes or percentage symbols. I noticed a few small quirks with the game's localisation. The text underneath some of the application icons on Rintaro's phone are left untranslated and more egregiously, the subtitles for the cutscene that plays after the game's true ending are in Japanese. Keep in mind that there is no English audio option for Steins;Gate 0. Another thing that must be mentioned is that Steins;Gate 0 requires a level of familiarity with the plot of the original game. In order to really appreciate the game and to fully understand its story and characters, you really do need to have played the original Steins;Gate or at least watched the anime adaptation. Despite this, it's clear that the developers and localisation team have put a highly commendable amount of effort into trying to make this accessible to newcomers, with various internal monologues designed to remind players of particular events or terminology from the original game. Worse still is that Steins;Gate 0 will actively spoil most (if not all) of the major plot revelations and twists from the original. Not only will new players not be able to enjoy Steins;Gate 0 to its fullest, but many of the surprises from the first game will be actively ruined by it. For as much as I appreciate the level of effort made to make Steins;Gate 0 more accessible, I simply do not recommend this game as an entry point to the series. I went into Steins;Gate 0 with a level of hesitation and uncertainty. After all, its predecessor managed to wrap up its story fairly neatly, so I really didn't know how well a sequel would even work. Thankfully, Steins;Gate 0 does a fantastic job of continuing the story, to such an extent where I'd almost consider it to be mandatory for anyone with a fondness for the original visual novel. Despite having a small number of grievances, none of them were significant enough to detract too severely from the overall experience. Simply put, Steins;Gate 0 is both a fantastic visual novel and more than a worthy follow-up to the first game.